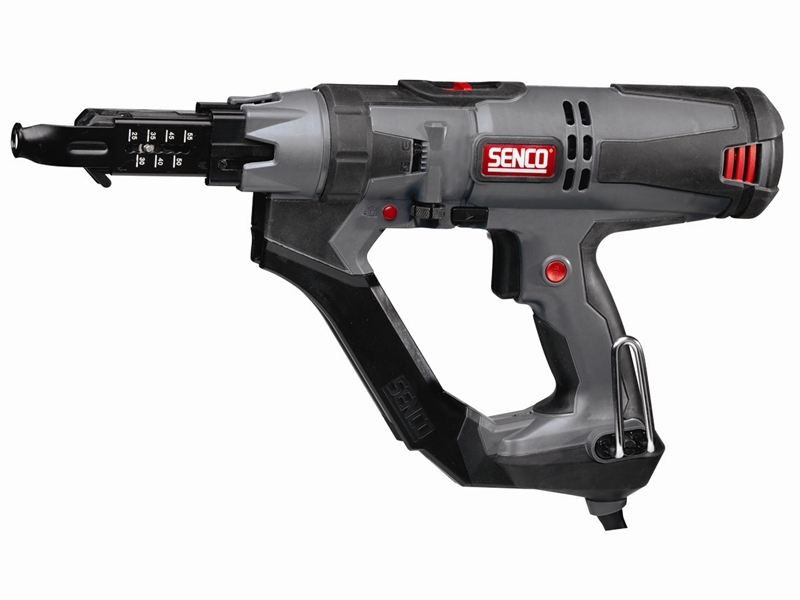 The Senco DS5550 DuraSpin Screwdriver is a compact, well balanced machine thanks to its 5,000rpm high speed motor. It offers outstanding performance for the most demanding professional drywall installer. With a smooth drive operation and a variable speed trigger that allows you to control the rpm of the tool. 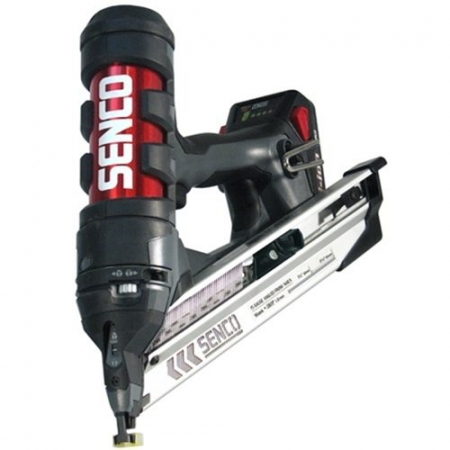 Includes Senco's patent pending corner-fit indexing technology that allows placement of screws into tight places that are unreachable by any other auto-feed screw guns. Drives screws from 25-55mm in length. Quick slide button bit change and tool-free screw length adjustment, for ease when changing size, or application. Achieve a precise depth-of-drive adjustment with a depth lock. With reduced force required to drive, you can work all day with less fatigue. Ideal for applications including Drywall (wood or steel studs), Underlayment, Cement Board. Dimensions (LxWxH): 381 x 86 x 260mm.